Records By Rachro: Designs to Color! Normally, I just post my records. But this is a special mention for Designs to Color! This psychedelic, abstract coloring book was *THE ORIGINAL*, created in 1965 by my beloved aunt, Betty Schaffner. She was an artistic pioneer, decades ahead of her time. 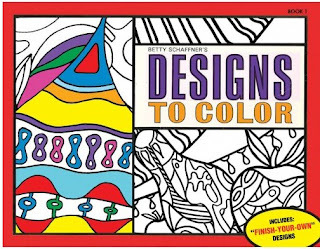 Coloring books with unusual subject matter are the current "zen" thing - but what you need to know is that the Betty Schaffner Designs to Color book was the first, created almost 50 years ago. She knew she had created a phenomenon then, and now it's back in full force. My aunt believed that everyone had innate creativity, and in a time where she felt traditional coloring books for children lacked imagination, she boldly created and published designs that could be decorated in a unique way. No two people color the designs the same. Each design can be colored and interpreted differently, as many times as you like. 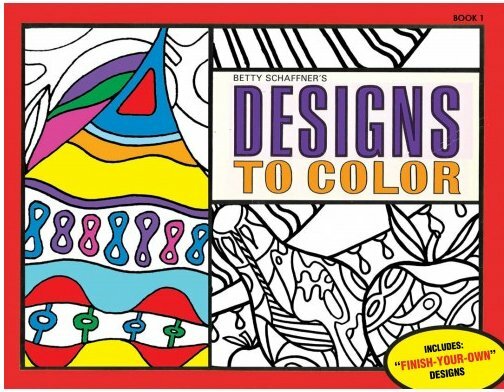 The possibilities are endless, when you color in one of the Designs to Color books. Six books were published in the late 1960s. And you know what else? You can color within the lines --- or not! Your choice. The lines are only a suggestion of where to take your thoughts. My aunt Betty and these books were an enormous influence on my life and creativity. I had the unique privilege of living with my aunt until her tragic death, and I am so happy to see that her spirit lives on with these magical designs. You can also request them at your local bookstore or art supply store.